Antique Ersari Turkmen rug of excellent design and colour, fine weave and small size; the rug is of a soft red colour with a superb green used through out. 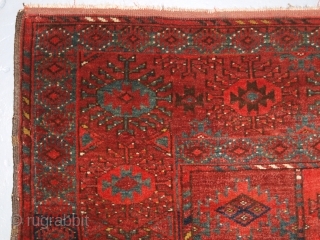 This small size of rug is known as 'dip khali'. www.knightsantiques.co.uk Size: 5ft 2in x 3ft 6in (157 x 107cm). Circa 1900. 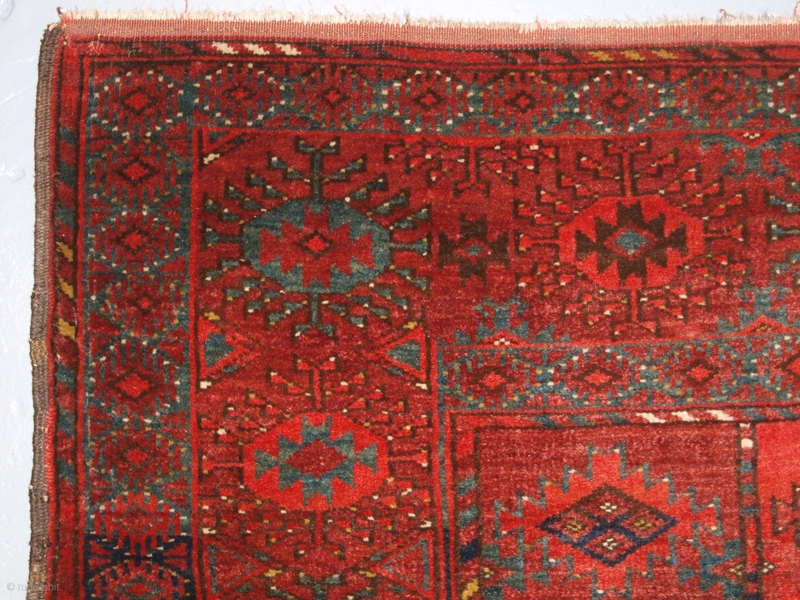 The rug has a compartment design with each row having 3 compartments with the exception of the 1st row which has 4. The border is the well known Turkmen sun burst and star design. The rug is of a fine weave with very good soft wool and excellent colour. 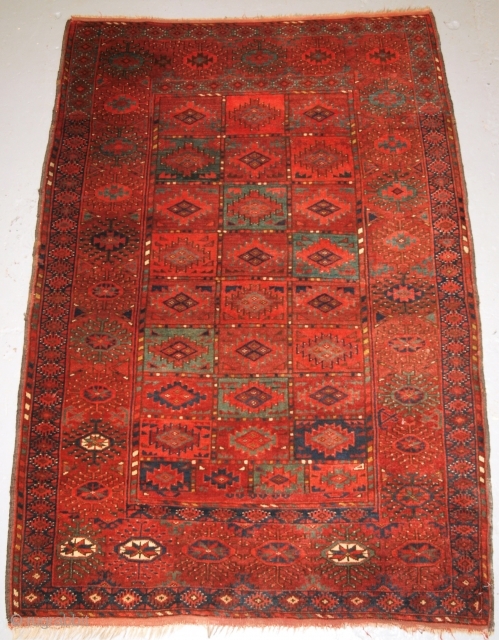 The rug is in excellent condition with very slight wear and good pile. The rug is suitable for normal domestic use. The rug has been hand washed and is ready for use. Stock Number: d-0579.